"This is a lovely book to share with small groups of children as part of a minibeasts topic. It is also a book which children will gravit ate to independently, when it is displayed prominently in your book corner." 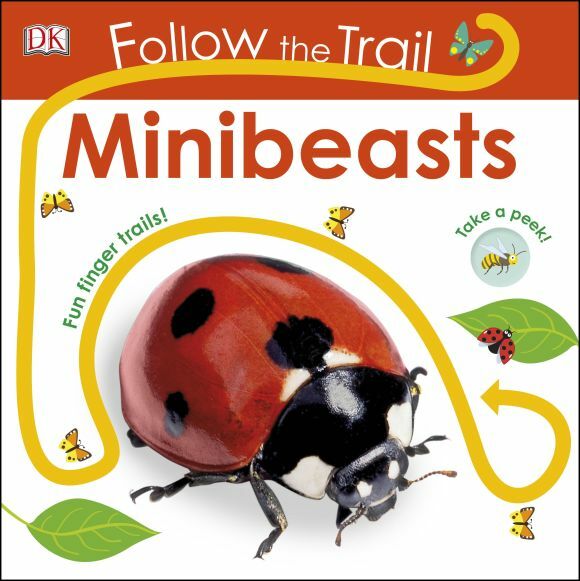 Little ones will love using their fingers to follow the glittery, bumpy shiny trails in DK's Follow the Trail Minibeasts. This tactile board book is packed with colourful illustrations to help encourage early learning. Perfect for hands-on learning, every page of this board book has a bright, bold finger trail with a special sparkly, bumpy finish. Plus there are peepholes showing you which creature is coming next! Follow the Trail Minibeasts is perfect for developing hand-eye coordination and pre-writing skills. Help your toddler learn as they explore the lives of the butterflies, ladybirds, honeybees and more. With the tactile trails and fun peepholes, your little one will love Follow the Trail Minibeasts, making early learning fun and exciting.